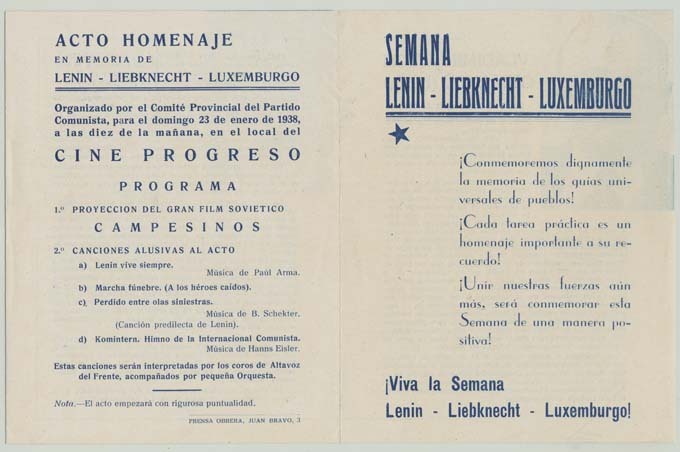 "This short pamphlet announces an event to commemorate and honor Lenin, Liebknecht, and Luxemburg. The event took place on January 23, 1938 and included a screening of a Soviet film as well as musical performances. The inside panels of the pamphlet offer readers short biographies of Lenin and Luxemburg."